By day your bathroom is hopefully basking in bright natural daylight. Roll up the blind and get some bright white tiles and some big mirrors to reflect all that lovely natural light around your room. 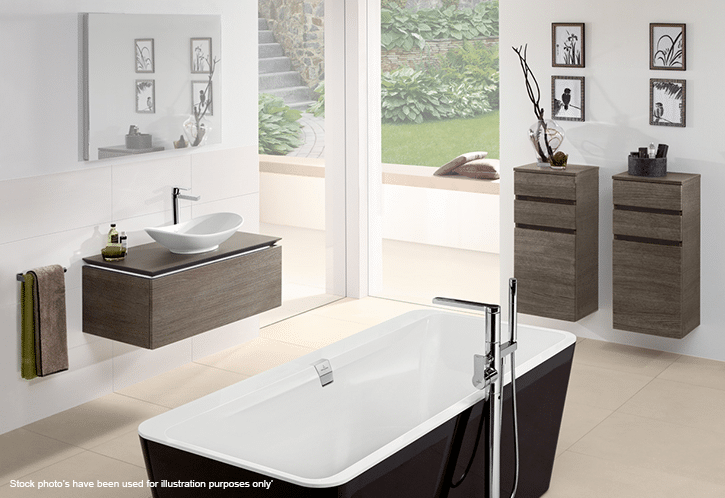 But as the sun goes down and dusk sets in, your bathroom becomes a totally different place. The spotlights come on, the cabinet light comes into play and if you want a bath, some lit candles make a world of difference. 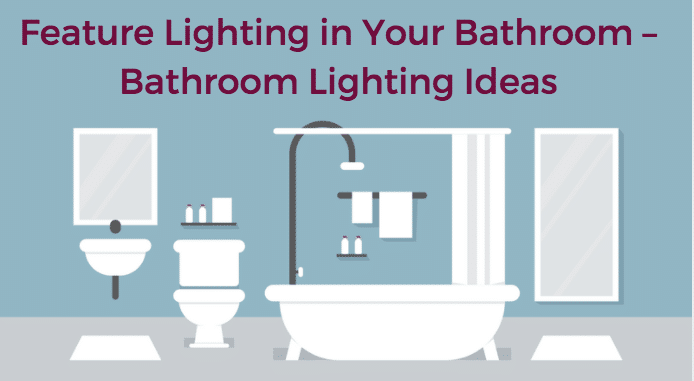 Lighting in your bathroom is a powerful way to change the mood and add some quality to your bathroom. 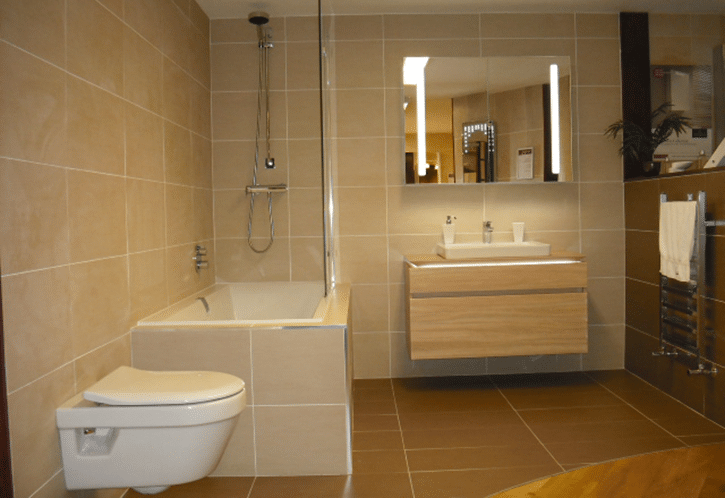 We’re seeing more and more bathrooms having feature lighting fitted, so here are a few ideas to get your senses excited. The mirror needs good lighting. When you’re preparing for the day you need the best light to shave, put on your make-up or spot that annoying hair that needs a pluck! But you could also think about making your mirror lighting a little more flattering and less like an operating theatre. Lighting the area around the mirror is the most common and effective way to do this. It’s the most flattering lighting for your face first thing in the morning and late at night as your face will be lit evenly from either side. Two on either side are a perfect way to achieve a flattering light. If you have a more interesting room than a modern box room then why not make the most of it? An alcove or arch makes the perfect lighting feature and can add some real theatre to the room. Uplights or subtle spotlights will really bring them to life. The days of having a cheap plastic shelf attached to your showerhead mount are thankfully well and truly over. We’re seeing and fitting some really exciting storage shelving in the shower now. A great way to add some interest to your shower cubicle is to create an indented shelf in your shower wall, tiled of course, and then add some dramatic or soft lighting. From blue LEDs to soft amber glows, your shelf in your shower can now become a real talking point. 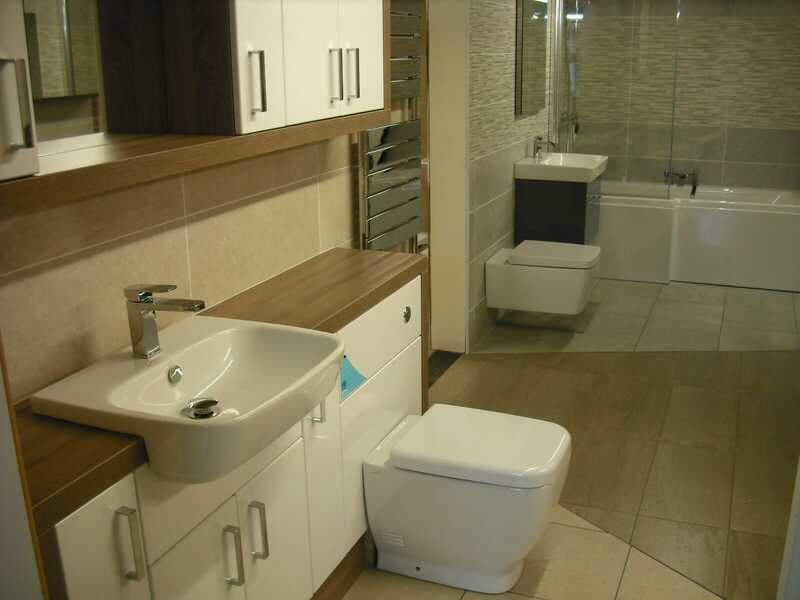 The vanity units in your bathroom blend in and add some much need practicality and functionality to your bathroom. But they can also get in on the lighting action. 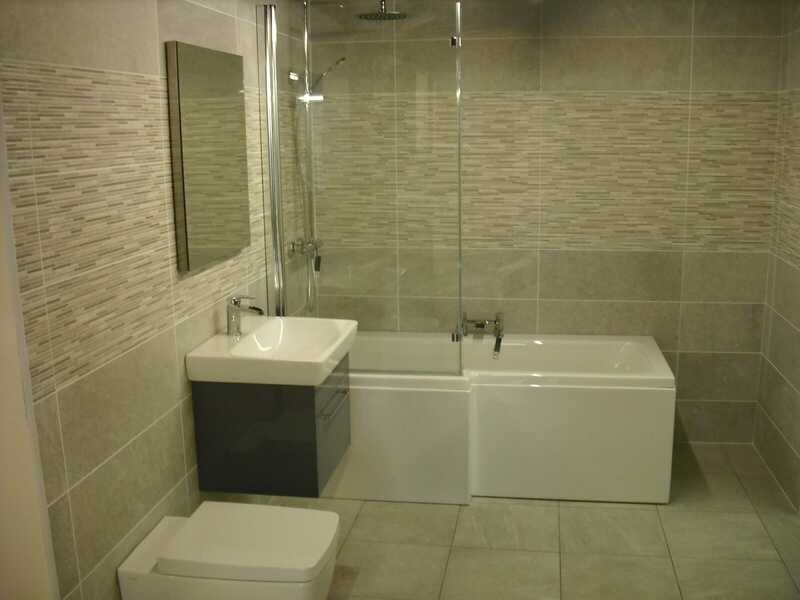 Backlit units with simple and subtle lights built into the wall give a warm glow around your unit and allow your bathroom to simply ooze style. The floor can have a go too. Small LEDs are often seen on the decking or around a hot tub, but you can also fit them to your floor. 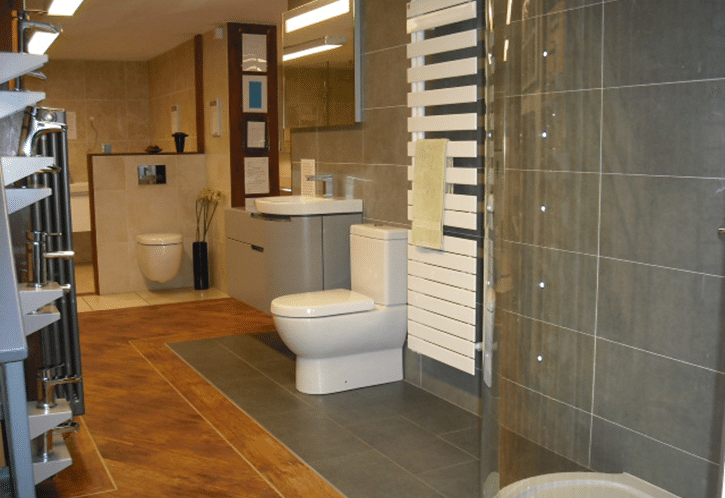 Small LED floor spots are durable and waterproof and create a real quality feel to your bathroom. 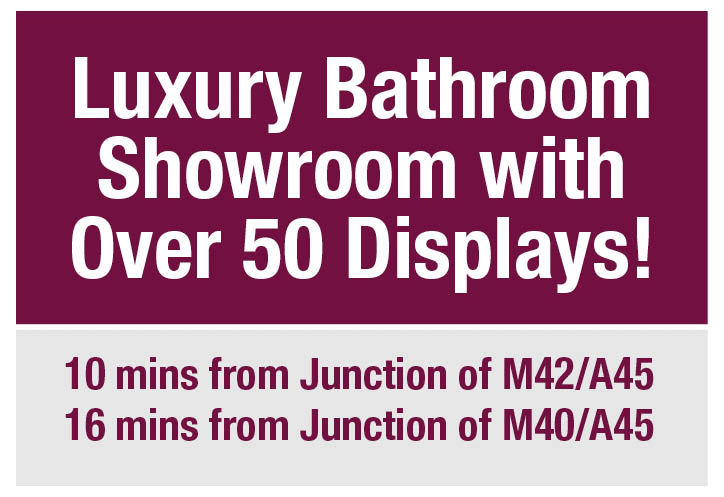 Many bathroom cabinets now come with the option of lighting, too. From bright white to backlit splendour, you can really go to town with the lighting on your units. Some will have spotlights just above the mirrored doors, while others opt for a strip light, but you could also be brave and have something with backlighting and even a coloured glow. Yes – even the taps and showerhead can play this game. From simple coloured LED lighting to dramatic disco-esque colours that light your shower water, it’s all very ‘pimp my bathroom’! It you’re clever you can match the tap lighting with the cabinet lighting for those moments when you need a party in your bathroom or just something to show the neighbours! Lighting is incredibly important and should be high on your list of things to get right. Feature lighting can alter the overall look and feel of your bathroom too, so think about what you could do and get creative with your design. Many of these features can be turned off when you just need a quick shower or some bright light. 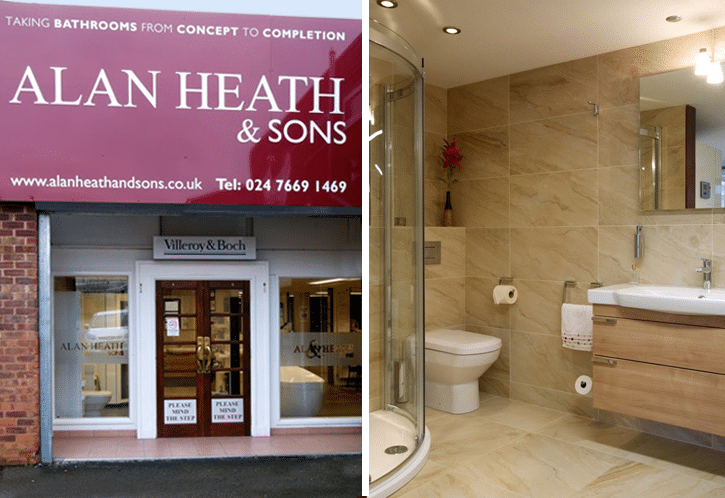 If you need any help with your bathroom lighting then pop into our Coventry bathroom showroom for some inspiration and advice.